It is time for you to relax and enjoy the few days that you have before you deliver your baby! When you are in your 9thmonth of pregnancy, you will find that there are quite a few challenges that need to be faced. Since it is the last month, you will no doubt feel heavy any more often than not, quite uncomfortable. There is also the excitement and anticipation of the coming bundle of joy! Could there be a more exciting time than this stage of your pregnancy? Fiber-Rich Foods: Such as land and sea vegetables, fruits, whole grain breads, cereals, dates, etc. Iron-Rich Foods: Such as fish, chicken, egg yolk, broccoli, lentils, peas, spinach, berries, soybeans and dried fruits like prunes, raisins, etc. Do consume a minimum of 3 servings of iron-rich foods on a daily basis. 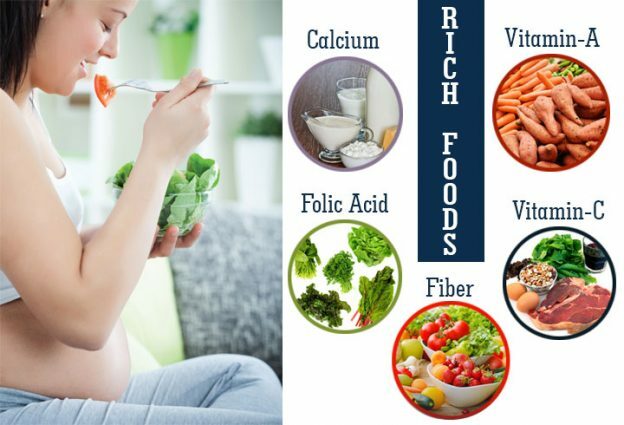 Calcium-Rich Foods: Calcium retention peaks during this stage of your pregnancy which is why it is important for you to eat plenty of calcium-rich foods. Such foods include collard greens, dairy products, oatmeal, almonds and sesame seeds. Vit C-Rich Foods: Foods rich in vitamin C are also important during your 9th month of pregnancy. Eat plenty of citrus fruits, tomatoes, strawberries, broccoli and cauliflower. Folic Acid-Rich Foods: To avoid birth defects such as spina bifida, consume foods that are rich in folic acid content. Green leafy vegetables and legumes like lima beans, chickpeas and black-eyed peas should be a part of your daily diet. 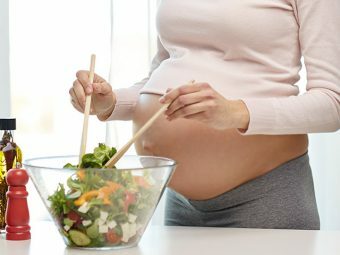 Vit A-Rich Foods: Spinach, carrots, sweet potato, cantaloupe and other rich sources of vitamin A should also be included in your diet during this stage of your pregnancy. Caffeine: Should be avoided. However, if you do drink it in any form, do not exceed 200 mg daily. Chocolate also contains caffeine, so limit your intake of it as well. Alcohol: It is widely known to be dangerous during pregnancy. To prevent mental retardation, premature delivery as well as a wide range of birth defects, it is important that you abstain from it completely throughout your pregnancy. Saccharine: It is a sweetener that should be completely removed from your diet during your pregnancy. Indulge in your sweet tooth by opting for organic fruits and homemade candies. Soft Cheeses: These are still a non-no. This type of cheese is normally not pasteurized and could lead to an infection, so stay away from it. Raw Sea Food: It is also important to remember to avoid sushi (most of which is prepared with raw fish as the main ingredient). Also other seafood that is served raw, such as oysters. Tobacco: It is dangerous during pregnancy. 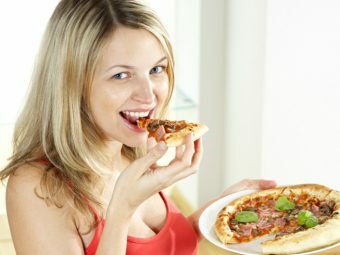 If you are a smoker or if you chew tobacco, it is important that you give it up not only in the 9th month pregnancy diet but throughout your pregnancy. Your child’s development and growth can be adversely affected if you take tobacco. Calcium Supplement: If you are not getting enough calcium from your daily diet, this supplement will be prescribed to you. It is also given to those who suffer from lactose intolerance. Multi-Vitamin And Multi-Mineral Supplement: This supplement will help in providing you with all the vitamins and minerals that your body needs during this stage of your pregnancy. Folic Acid Supplement: Folic acid is important to produce healthy red blood cells and also to prevent birth defects. 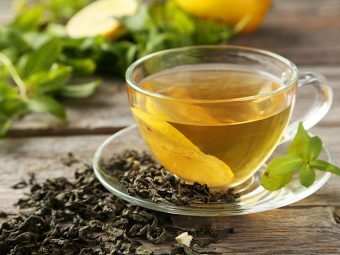 If you are not getting enough of it from the foods you eat, your doctor will prescribe this supplement for you. Iron Supplement: Experts recommend an iron supplement that contains 27 mg of iron for all pregnant women when they are at the second and third trimesters of their pregnancy. As you know, the various nutrients that you consume at this time will have a direct effect on your baby’s development and growth. Since you are eating for two, you have a responsibility to eat only the healthiest of foods. This way, you ensure that your baby gets all the required nutrients to be healthy and you also stay strong for labour when the delivery day comes. So, eat right, preferably organic so that you keep pesticide/fertilizer intake to the barest minimum, and make sure that you get all the proper nutrients that you need for a healthy pregnancy and a strong baby! 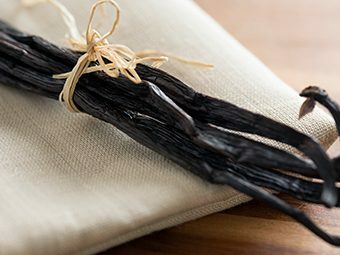 Is Vanilla Extract Safe During Pregnancy?